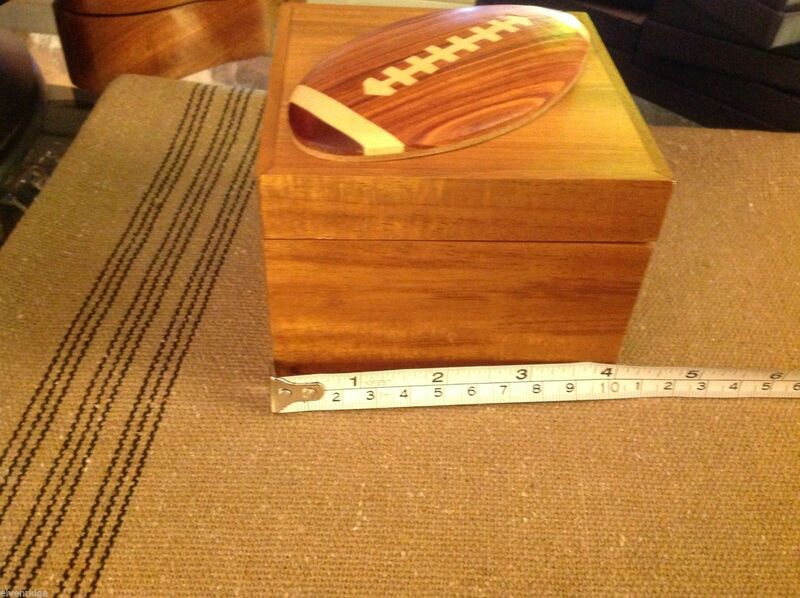 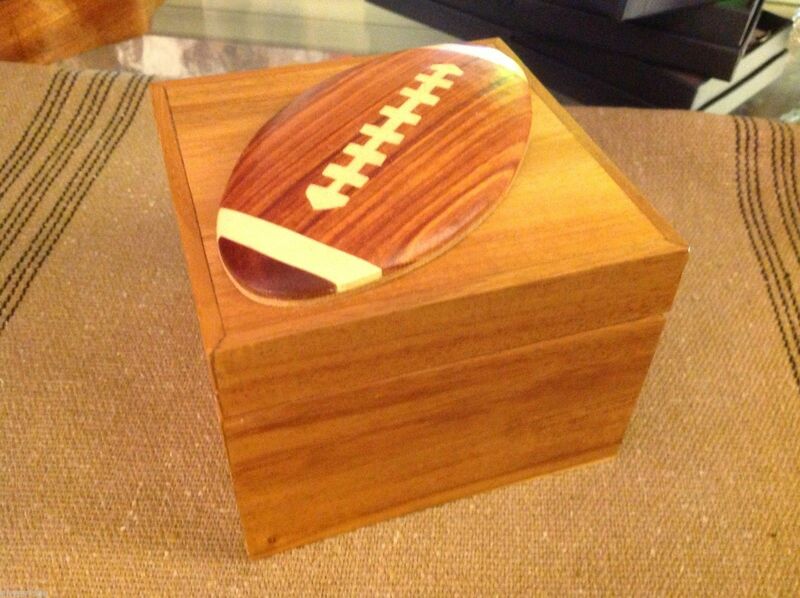 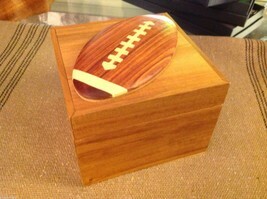 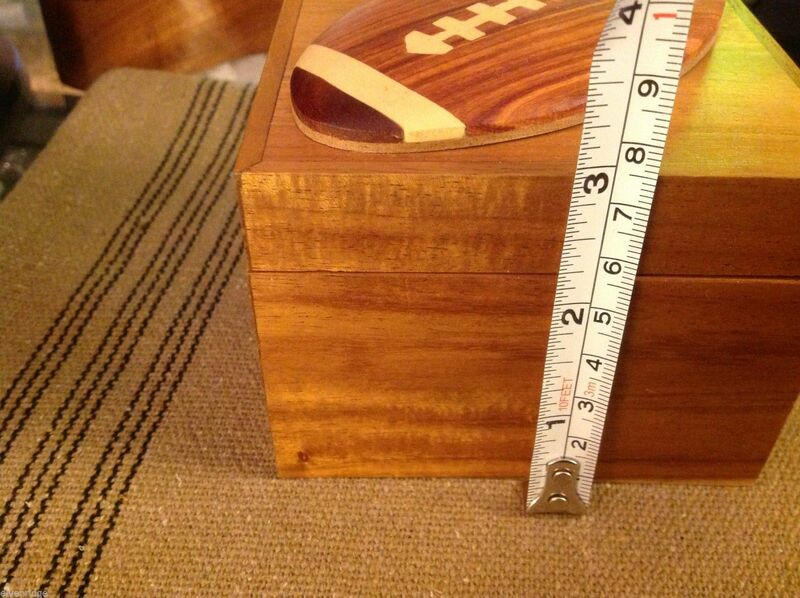 Adorable little trinket box for the football fan and just in time for Father's Day! 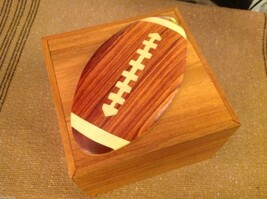 Made of woods of different colors - square shaped box with hinged lid. 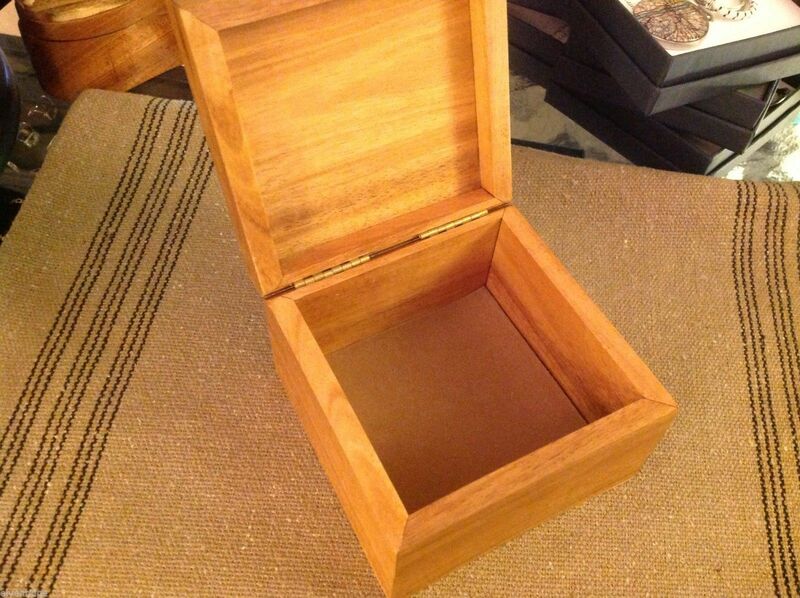 New in original packaging. Measures 3 inches tall and 4 inches square base.